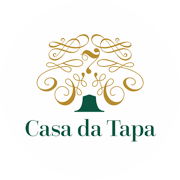 An historic house like Casa da Tapa 7 wouldn’t be complete without its over 1000 square meters of lawn and garden area. Step outside and enjoy the sun and great views over the mountains and the valley below! As you exit the kitchen, there is a patio where you can relax, have a drink or a meal. Further down, the large lawn area spreads onto an open space surrounded by trees.